We run specials throughout the year; spring, summer, fall, and winter. 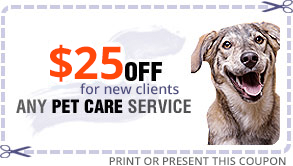 Please keep checking our site for our pet specials! "Happiness is having happy pets."